When you develop workbooks for others to use, it may be wise to restrict the access they have to certain cells, worksheets, or even the entire workbook. Some cells may contain formulas that you do not want changed, and certain workbooks may be confidential. You can hide columns and rows within a worksheet, as well as hide worksheets within a workbook. You can also password protect a workbook to restrict access to it. For more details on our hands-on Excel training in Chicago and Los Angeles call us on 888.815.0604. All classes are taught by a live face-to-face trainer. You might want to display or print a worksheet in such a way that some of the data is hidden, but not deleted from the workbook. You can hide rows or columns to conceal confidential or confusing data. The path the to the Hide/Unhide rows and columns is via the Cells group on the Home tab, using the Format button. 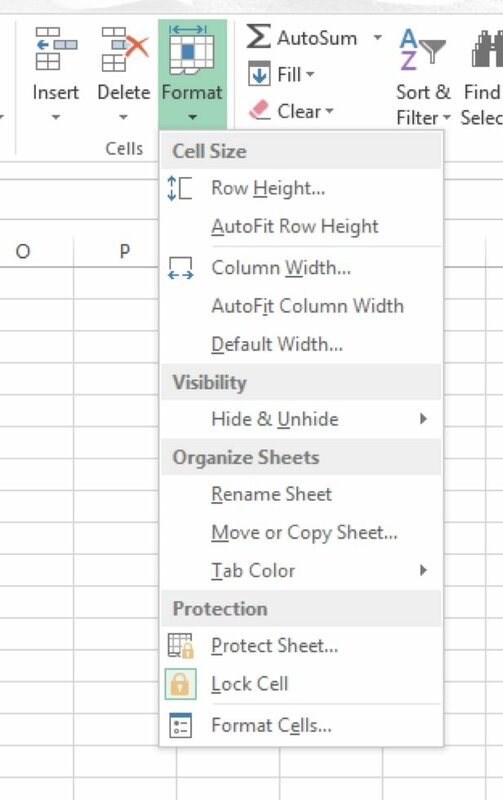 Select the row (or a cell in the row) you want to hide. In the Format submenu, click Hide & Unhide. Select the column (or a cell in the column) you want to hide. Select the rows (or cells in the rows) above and below the hidden row. Select the columns (or cells in the columns) to the left and right of the hidden column. Also see using Data validation in Excel. Through our network of expert trainers we deliver onsite Microsoft Excel training right across the country. View our Excel training testimonials or obtain a quote for an onsite Excel class.